Home / Fat Injection / Lipo Injection Videos / Breast Augmentation with Fat Grafting, Is It Realistic? Fat grafting continues to cement itself as one of the most exciting and rewarding modern plastic surgery procedures. The very concept of removing fat from unwanted regions of the body and adding it where volume is deficient seems to be magic, yet that is exactly what the procedure can accomplish. Patients and physicians alike note it’s power, and have thus begun to wonder how it may be applied to breast augmentation. Already, fat grafting has proven itself capable of providing nuance additions to breast augmentation procedures, specifically breast reconstruction. The question patients continue to pose, especially modern patients looking for natural procedures and results, is whether or not a complete breast augmentation can be accomplished with fat alone – no implants. 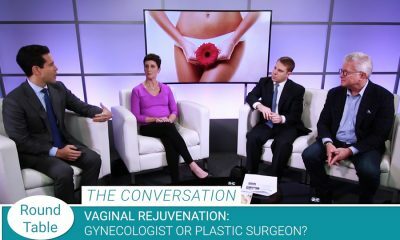 Board certified plastic surgeons answer on the latest PSC Round Table. Fat grafting can be tricky for many reasons while simultaneously being incredibly useful. It requires serious understanding by the surgeon in order to avoid complications, many of which can be extremely serious. For this reason, the best plastic surgeons, in general, avoid performing a full breast augmentation with fat and no implants. While the severe complications can be readily avoided, aesthetic complications conspire to question whether or not the procedure is really worth it. Dr. Haws brings up two points here. One, fat grafting to the breast without implants is not there yet. And two, perhaps more importantly, many of those performing the procedure are not the most qualified, if qualified at all. Considering fat grafting requires more expertise than many procedures for it to be performed safely and effectively, this is a danger to would-be patients. The name of the game in modern breast augmentation is crafting a procedure unique to the patient. With the widest array of implant options available in the procedure’s history, the best breast surgeons are able to tailor procedures to the patient’s individual anatomical aspects and goals. As an adjunct to the implants, a touch of fat grafting may serve the patient in a big way. Even further, there may be some very unique patients where breast augmentation can be successfully performed with fat alone, albeit a small amount. Dr. Reid suggest that “maybe a cup size” could be added via fat. Note that his example involves a patient who is already receiving liposuction; Dr. Reid would offer, in this circumstance, to use the suctioned fat to boost the breasts. The breast enhancement would be a secondary goal to the primary. Dr. Reid’s example lays out clearly the current frontier of fat grafting to the breast. While that procedure may work out wonderfully well, it’s entirely dependent on the surgeon’s skill and the unique aspects of the patient. Even then, it’s critical to check patient expectations when fat grafting is involved in cutting-edge procedures. Dr. Nyame explains why it’s critically important to consult with a board certified plastic surgeon over these matters. Fat grafting to the breast may actually be something that a patient would mightily benefit from. It also may be totally unneeded to their situation, and could, if performed, not meet the goal’s of the patient at best. At worst, it may cause a dangerous complication. To navigate these waters, patients must have a lengthy consultation where they explore all that bothers them, all that they’re hoping for, and then listen to all of the options. Maybe fat grafting to the breast is one of them, and maybe it’s not. There is no doubt that fat grafting will continue to dramatically impact all other procedures involving fat removal and volume addition. Perhaps one day breast augmentation with fat will be a reality that can be reliably reproduced, but the procedure isn’t there yet. Fat grafting is yet a bit like the Wild West. For these reasons, it’s imperative to utilize a board certified plastic surgeon experienced with liposuction and fat grafting, and the ongoing literature and research surrounding it. If one is to find success in the Wild West, it’s best to have a seasoned gunslinger as your guide.